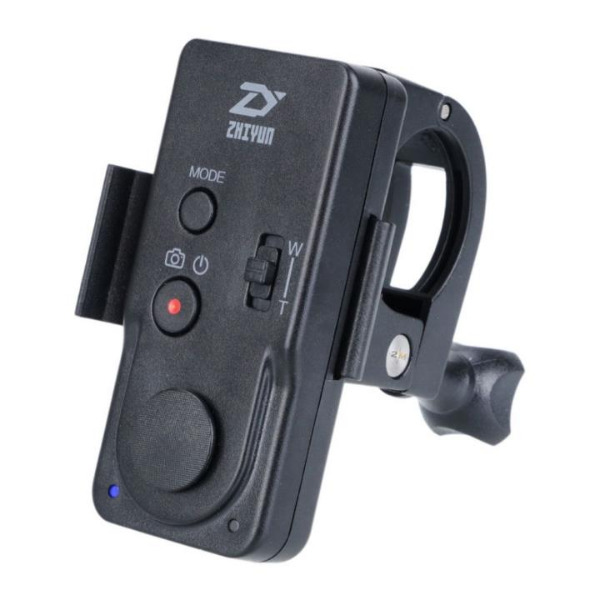 The Zhiyun ZW-B02 wireless remote control is suitable for Zhiyun Crane/Crane2/CraneM/Smooth3/SmoothQ/Rider-M gimbal stabilizer. 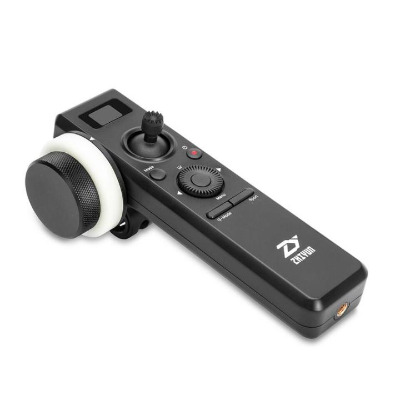 MODE Button: Switches between gimbal control modes (works like the MODE button on the stabilizer). 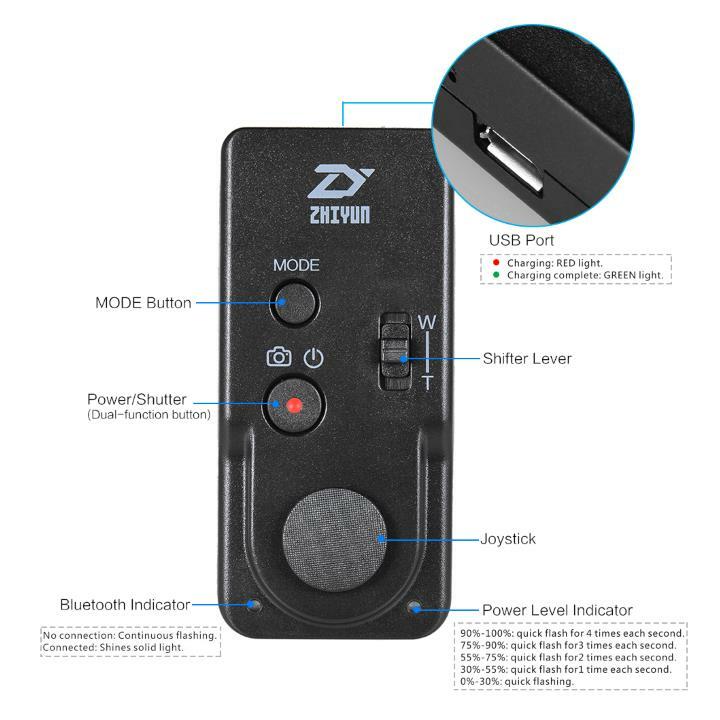 Power/Shutter (Dual-function button): Power on/off the remote controller by pressing the Power button for 1s to 2s, the indicator light will turn on/off accordingly. 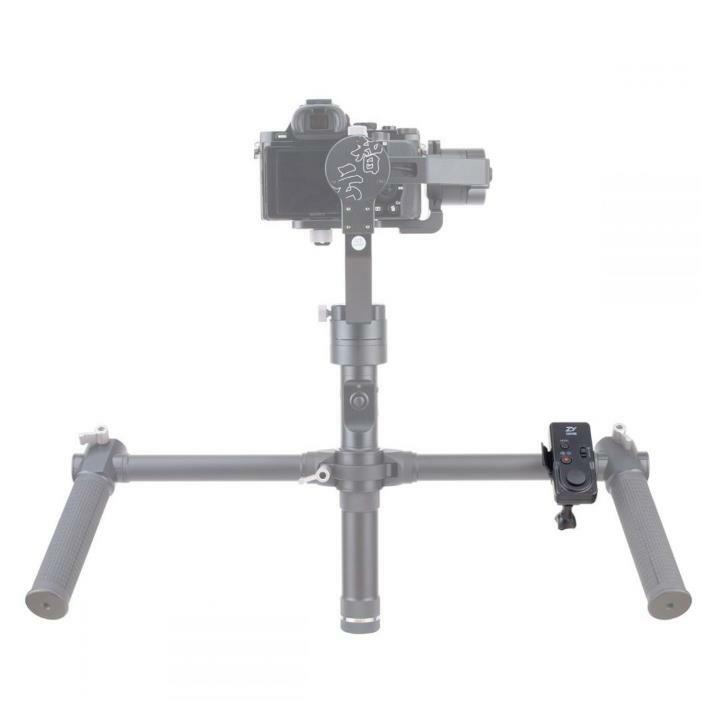 When gimbal is connected with camera, under camera mode, half-press for focusing, fully press the shutter button for shooting images; quickly double-press (fully press down) to switch between video recording function and photographed function. Power Button + Shifter Lever: Push the Shifter Lever in W direction simultaneously when powering up to enter Slave Mode. This allows firmware upgrade of the remote controller through mobile APP (requires Bluetooth pairing with the smartphone using Zhiyun Assistant). 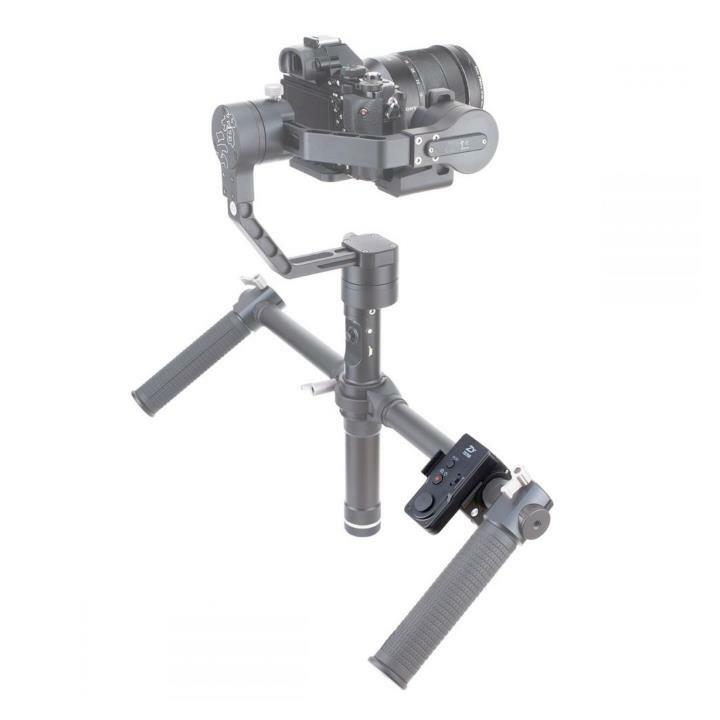 Power Button + MODE Button: Press the MODE Button simultaneously when powering up to operate quick pairing with nearest stabilizer. 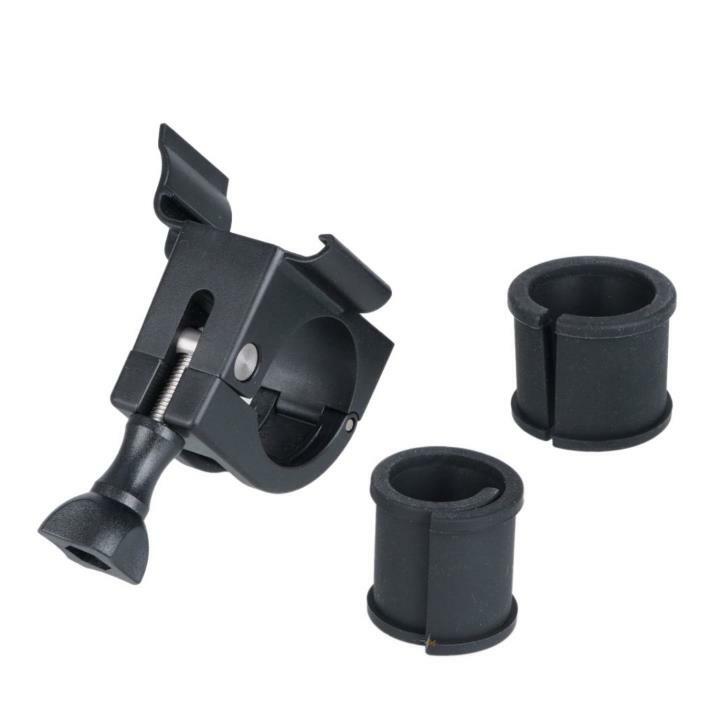 Shifter Lever: Allows focusing control of the camera.